The clinical trials enrolled children 5 to 11 years of age who were diagnosed with asthma and a history of at least one asthma exacerbation treated with systemic glucocorticoids in the previous year. The study was conducted at 17 trial sites in the United States. The Pediatric Clinical Research Unit at Egleston, supported by the Georgia Clinical & Translational Science Alliance (Georgia CTSA), was one of the sites where the randomized, double-blind, parallel group trial was conducted. 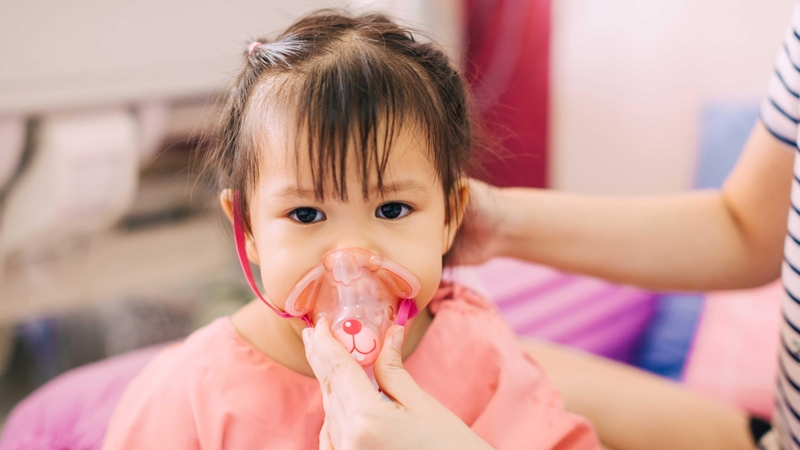 Before the study, a common medical practice involving children with mild-to-moderate asthma was to increase doses of inhaled steroids during respiratory illnesses. The study concluded that temporarily increasing the dosage of inhaled steroids when asthma symptoms begin to worsen does not effectively prevent severe flare-ups, and may be associated with slowing a child’s growth. Co-Author Anne Fitzpatrick, PhD, RN, CPNP, is a Georgia CTSA Master of Science in Clinical Research (MSCR) graduate. Fitzpatrick is currently associate professor of the Department of Pediatrics and director of Asthma Clinical Research Program, Division of Pulmonology, Allergy/Immunology, Cystic Fibrosis and Sleep, Emory University Department of Pediatrics. Fitzpatrick’s contributions in the study of pediatric asthma include over 90 publications in the field of asthma. She was also a part of another Georgia CTSA-supported study which assessed the impact of acetaminophen use on children’s asthma. She is funded by a variety of NIH grants and continues to serve as the principal investigator in the National Heart, Lung, and Blood Institute’s AsthmaNet Clinical Trials Network and Severe Asthma Research Program. The Pediatric Clinical Research Unit at Egleston is designed to provide the necessary infrastructure for investigators conducting pediatric clinical research and is a pediatric clinical interaction research site of Georgia CTSA. The center improves the ability of pediatric researchers to perform innovative research while providing patients and their families with increased access to leading-edge clinical trials. The Emory Master of Science in Clinical Research (MSCR) degree program, in the Laney Graduate School at Emory University, provides innovative didactic and mentored research training to those interested in pursuing a career in clinical and/or translational research. The MSCR degree is designed for predoctoral (medical students, PhD students or PharmD students), postdoctoral trainees (resident and fellow physicians or PhD postdocs), and junior faculty (physicians, PhD-level scientists or PharmDs) from Emory University (Emory), Morehouse School of Medicine (MSM), Georgia Institute of Technology (Georgia Tech) and the University of Georgia (UGA).